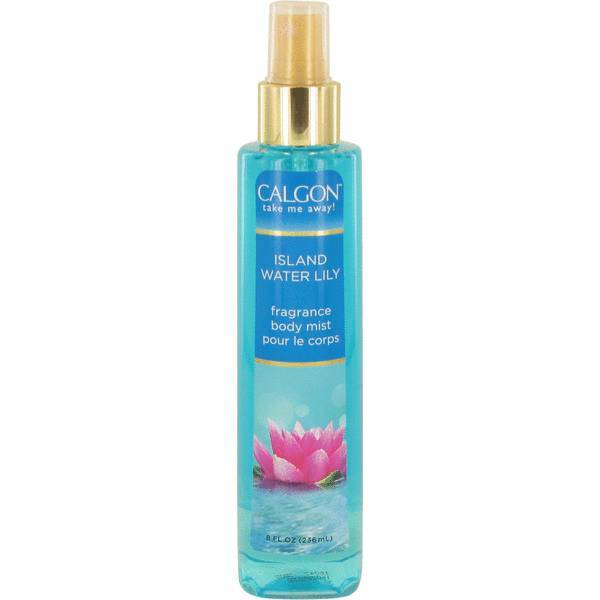 Calgon Take Me Away Island Water Lily Perfume by Calgon, For a sensual fragrance that never feels too overpowering, you need Calgon Take Me Away Island Water Lily. This is a relaxing scent that gently rests on pulse points. It has many captivatingly aquatic notes you are bound to fall in love with. Its composition includes a blend of salt water and water lily. This fresh body mist is light enough to be enjoyed by women of all ages. Calgon is a cosmetics company based out of the United States. Read More Read More It has a collection of fragrances and hygiene products used all over the globe. The brand really made its mark with the "Take Me Away" collection. These perfumes, which Take Me Away Island Water Lily is a part of, aim to capture the essence of exotic destinations. Apply this fragrance liberally first thing in the morning to enjoy its scent all day long. All products are original, authentic name brands. We do not sell knockoffs or imitations.